Will Take Charge won the 2013 Travers Stakes in front of longshot Moreno and Orb. Travers Stakes 2013 Results; Will Take Charge Photo Finish: Will Take Charge won the 144th running of the Travers Stakes today in a photo finish against longshot 34/1 Moreno. 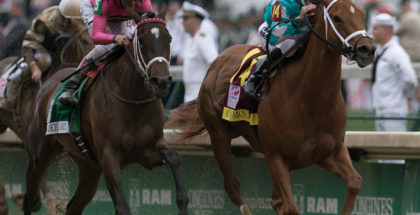 The 2013 Kentucky Derby winner Orb crossed the Travers finish line 3rd while Belmont Stakes winner Palace Malice finished 4th. Moreno held strong on the 1 ¼ mile nostalgic Saratoga Race Course track until the final stretch when Will Take Charge and jockey Luis Saez closed the deal by a nose and won the 2013 Travers Stakes. Will Take Charge’s win, who was the 4th favorite with 9/1 odds, was considered to be an upset as most fans expected to see a Saratoga show-down between Orb, Palace Malice, and Verrazano. 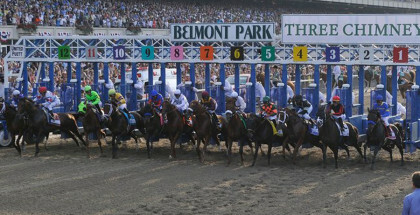 The Mid-Summer Derby was the third Travers Stakes win for the world famous 77-year-old trainer, D. Wayne Lukas. Jockey Joel Rosario, who was slated to ride Orb in the 2013 Travers Stakes, broke his foot on Friday, August 23rd. Trainer Shug McGaughey recruited jockey Jose Lezcano to take the mount atop of Orb. 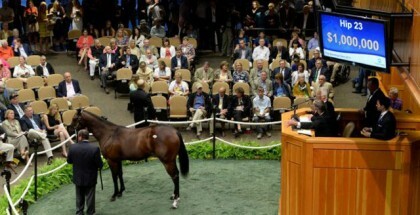 Fans everywhere rooted for Orb but the colt just fell short and finished 3rd in the 2013 Travers Stakes. Lady and The Track would like to congratulate D. Wayne Lukas, Luis Saez, Willis Horton, and my horse crush Will Take Charge on their 2013 Travers Stakes win! Fun Fact: The D. Wayne Lukas trained colt Will Take Charge is half-brother to the recently retired Take Charge Indy, who now resides at WinStar Farm. 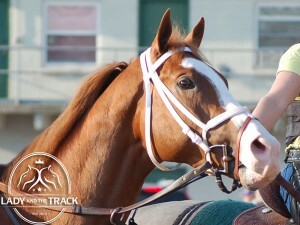 Be sure to check Lady and The Track for results, replay, recaps, and payouts on the weekend’s biggest races! 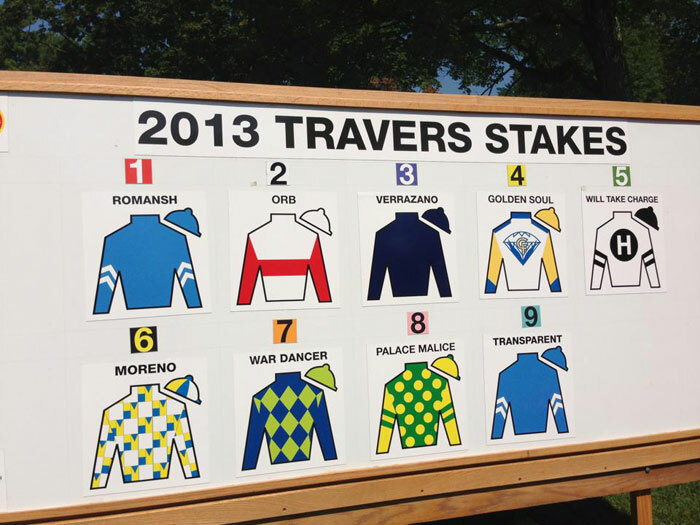 Travers Stakes 2013 Post Draw.